How much pressure could there be picking one word for the year? Turns out a lot. Like so many people this time of year, I choose one word to be a beacon for me through the upcoming 12 months. It was such a huge commitment, you’d think I was signing a contract in blood with all the pressure I felt about it. 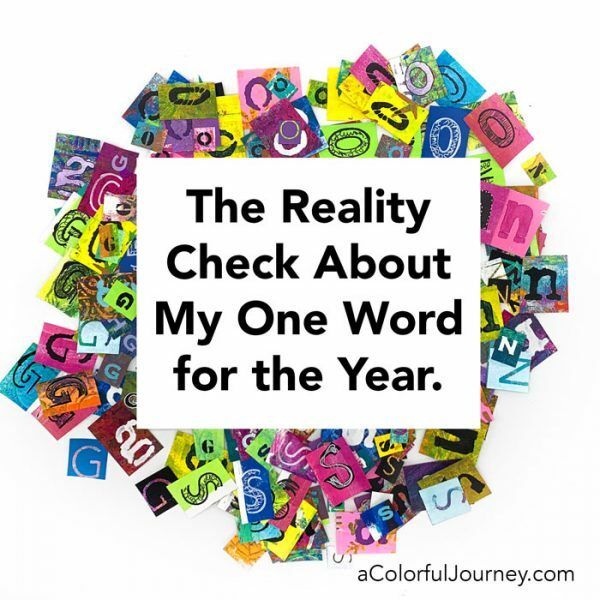 Then I had a reality check with myself and chose a different way to do it this year. I needed to get the pressure off of the year-long commitment, so I decided to create a piece of wall art that will remind me of the word any time I walk past it. I have mad respect for everyone who follows through on their word for the year, but I know that I’m not going to do that so I’m turning it over to my subconscious. That’s taking the pressure off, and I bet that I’ll actually use this word far more than any other year! Even though I lined these up before I glued them down, they still turned out off center just a bit. Mistake? Error? Nope, it was an O.O.P.S. – an Outstanding Opportunity Presenting Suddenly. That little extra space got me looking for a solution- and that’s where this playful dancer came in handy. You see, it’s a mask (that comes with the stencil) and by placing it on the wood panel, I could see just what it would look like before that all so big commitment of paint. 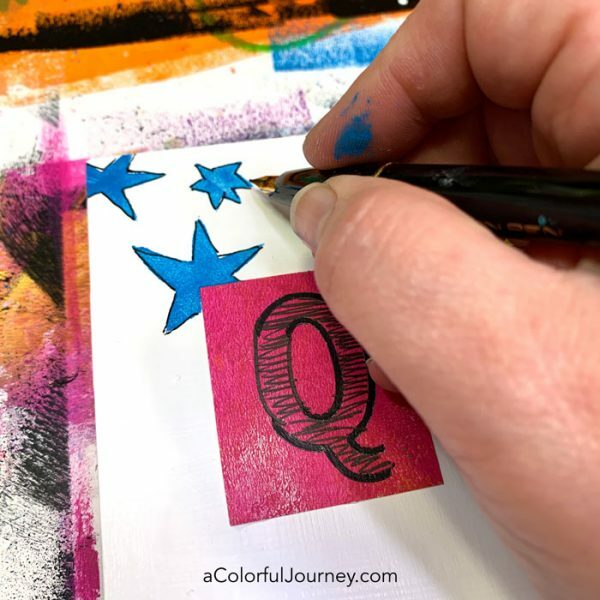 What fancy tool did I use to make the star hide behind the letter Q? A Post It note. I like to keep things easy and fast. In the video, you’ll see how that did the trick. That star stencil is just one of 9 patterns on the ATC mixup stencil. Paint can be tough to write on, especially a fine line. So I use a fountain pen to do it. 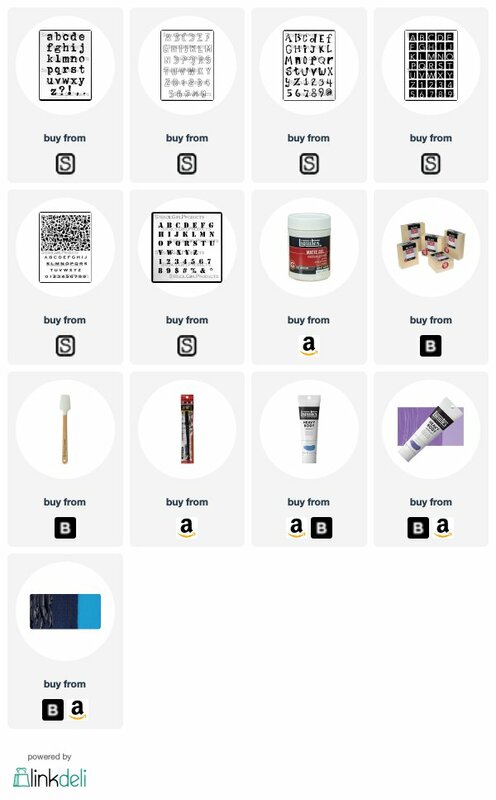 Since there are no moving parts on these, if it gets clogged up with paint, it’s easy to clean- unlike felt tip pens or fine tipped ballpoint pens. Since my word for the year is Question, I decided to question the impulse, dare I say, compulsion, to cover up the white space. It felt mighty strange but also exciting. 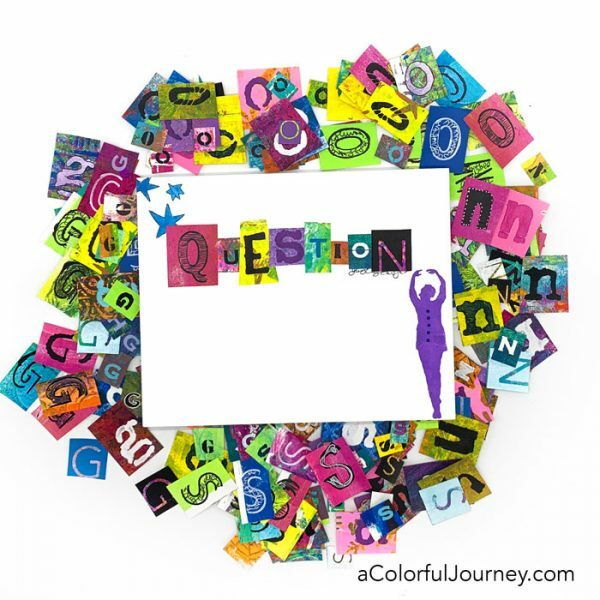 Wonder what other questions I might be asking this year- or I should say that my subconscious will be asking, after all, a month in I usually forget my word. How did I make all those letters? If you’d like me to show you how I used gel prints and stencils to do them quickly, let me know and I’ll put that video together for you. Get signed up for my weekly newsletter and you’ll be sure not to miss it. Thank you for this video Carolyn, and for all the videos you do, they are such fun! I would love to see a video on how you make all those wonderful letters! Thank you and keep up the good work! Instead of a big goal this year I’m doing a weekly goal, much easier to see progress and they add up to some major goals. And I still have a word… FOCUS. And I add the word to my weekly goal (which is written at the top of the week on my calendar) to help me remember. I like this idea of a single word for the year! 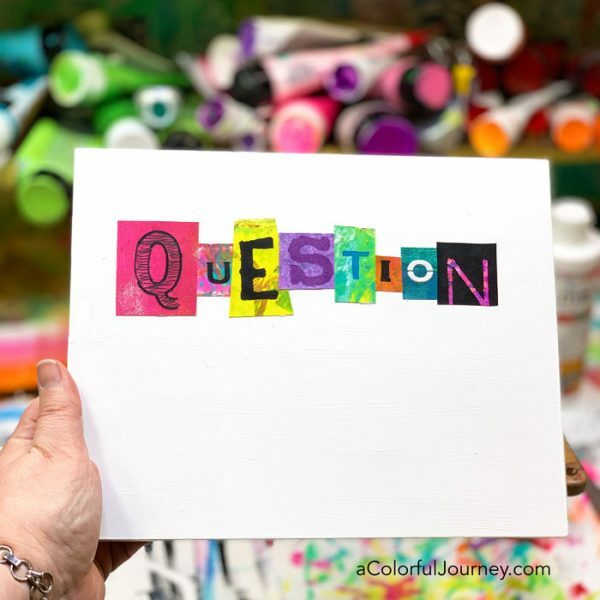 Thanks for sharing this video and your fun ideas. I too would love to see a video on how you make these letters. 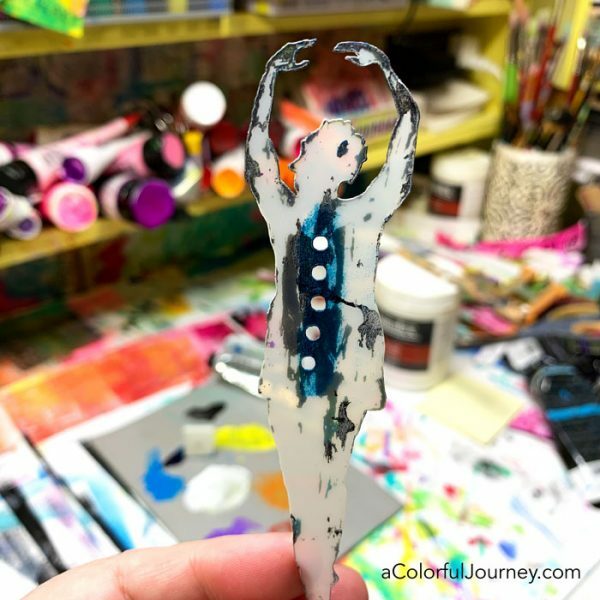 I have so many gelli prints and this is a great idea for their use.